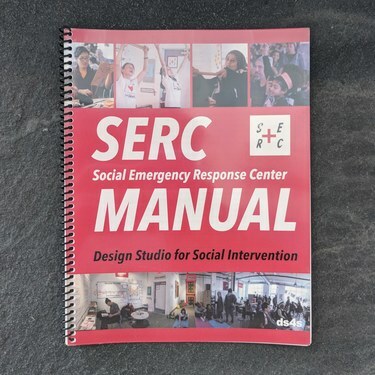 The SERC Manual is part of the Public Lab Press, a project to distribute written works from allies and community members and organizations. 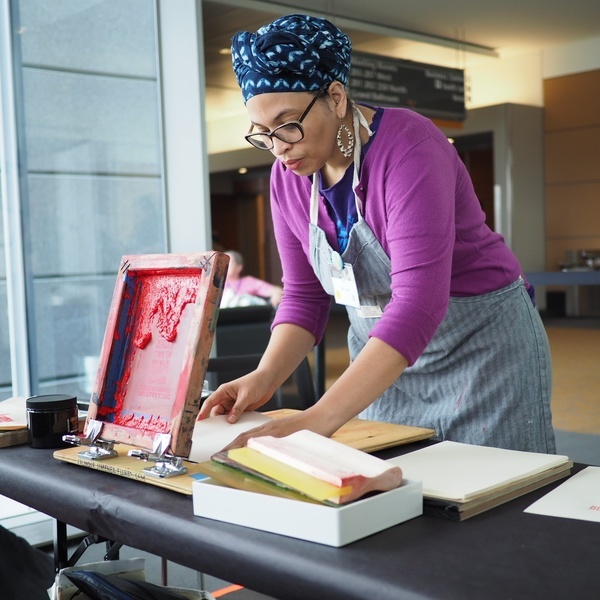 Co-created with activists, artists and community members, SERCs are temporary, pop-up spaces that help us move from rage and despair into collective, radical action. SERCs are continuing and growing---a people-led public infrastructure sweeping the country from Boston to Utica, MS to Atlanta, Albuquerque, Washington DC, Chicago, Orange, NJ, Hartford, CT, Canada and Serbia... They are popping up in homes, community centers, schools, colleges, churches and conferences. SERCs function as both an artistic gesture and a practical solution. As such,they aim to find the balance between the two, answering questions like: How will we feed people--and their hunger for justice? How will we create a shelter--where it's safe to bring your whole damn self? What will reconstruction--of civil society--look like? We're happy to announce we're accepting 9 students through Google Summer of Code this season. This is almost double last year's 5 slots, and reflects big, positive changes in our community this past year.Update: we also just learned that we are working with a team of two through Rails Girls Summer of Code! We've seen a dramatic rise in newcomers over the past year (read more here and follow #software-outreach), and over a dozen contributors emerged as community leaders, not only championing larger and more complex projects, but also welcoming in and supporting newcomers to grow our community. Many of this year's students are in this group. We'd also like to thank those who have made it possible, through their supportive mentoring, for our community to see such successes -- including those who help (beyond coding) to shape the course of our software projects by proposing new features, and those who help to set the positive, welcoming tone that makes our project one which people want to join. Congratulations to our 9 summer projects, and thanks also to those whose projects weren't selected. We wish we could work with all of you, and we deeply appreciate what you contribute. 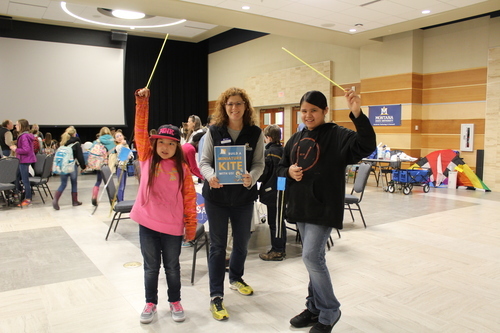 This blog post covers an exciting development over at the Astro Pi Challenge, which builds on work by Public Lab contributor @nedhorning, @cfastie, and many others from the Infragram project, (including collaborators from Farm Hack) from the past few years. We are currently working in partnership with NASA's AREN project on the Infragram platform and the Image Sequencer project designed specifically for this kind of hacked Raspberry Pi camera! Great job, folks! The European Astro Pi Challenge gives students the opportunity to run science experiments using two Astro Pi Computers that are aboard the International Space Station. Russian Soyuz Mission MS-08 recently delivered upgrades for the Astro Pi Computers -- including some Rosco color filters -- that will allow some of those students to conduct their own observations of our planet's vegetation while safely at home on Earth. 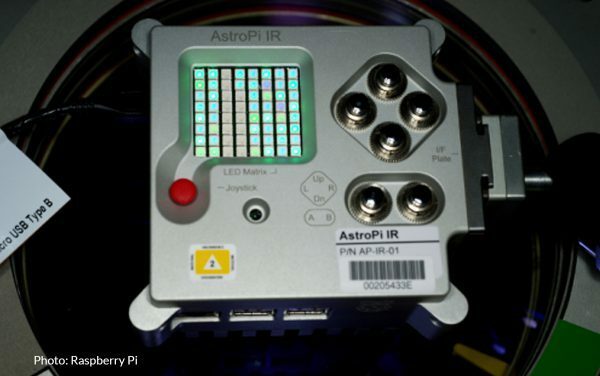 The Astro Pi Computers include many different sensors to collect data, but one of them is equipped with an infrared, Pi NoIR Camera from Raspberry Pi that enables the students to observe Earth's vegetation health and growth from space. A Pi NoIR Camera features the same technical properties as a standard camera, except that it has the IR filter removed so that it can perceive the infrared spectrum of light. Some of the student teams taking part in the Astro Pi competition are investigating the health of vegetation on Earth. Having learned that plants grow through photosynthesis, what they're learning now is how photosynthesis translates into color reflectance. 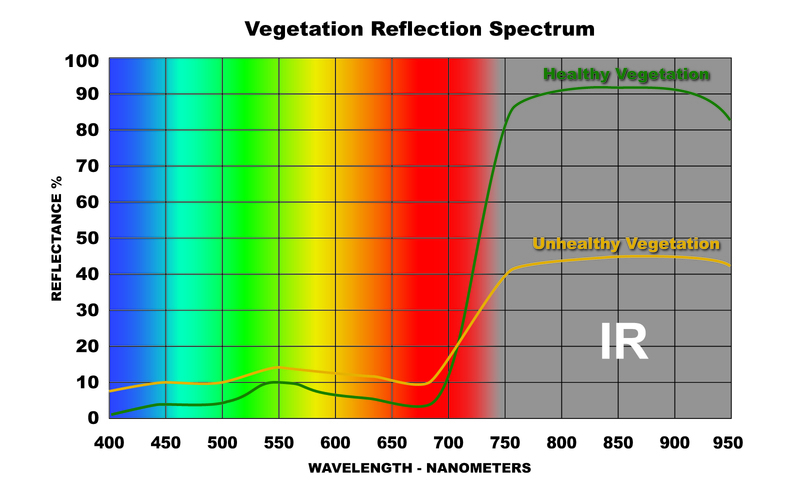 Healthy plants reflect a significant amount of infrared energy, which is invisible to the naked eye. Most of the visible spectrum (predominantly blue and red wavelengths) is absorbed, with some green light reflected. This accounts for the green color that we see in healthy vegetation. As stress in plants increases, photosynthesis slows down or stops, infrared wavelengths are absorbed and more visible red light is reflected, which accounts for the "browning" of unhealthy vegetation. The R2007 filter absorbs most of the red and green wavelengths while allowing the blue and near-IR sections of the spectrum to pass onto the camera's sensor. By examining the data in this "infra-blue" energy, the Astro Pi Computer can evaluate the photosynthetic activity of plants by calculating the ratio of blue and infrared light that is reflected from plants to determine the Normalised Difference Vegetation Index (NDVI). The students back on Earth can use this NDVI measurement to assess plant-health around the world. Since the R2007 filters have only just arrived at the International Space Station, we don't have any of the imagery the Astro Pi Computers will capture yet. The image above from publiclab.org, however, uses a similar technique and is an excellent example of what that NDVI imagery might look like. Note how the healthy grass registers blue/green, while the dead grass in the upper left corner registers green/yellow/red. You can find more information about this NDVI experiment and learn how to shoot your own NDVI imagery on this Public Lab webpage. If you'd like more information about Raspberry Pi and how their affordable, easy-to-use technology is encouraging kids around the world to code computers -- even in space -- visit www.raspberrypi.org. 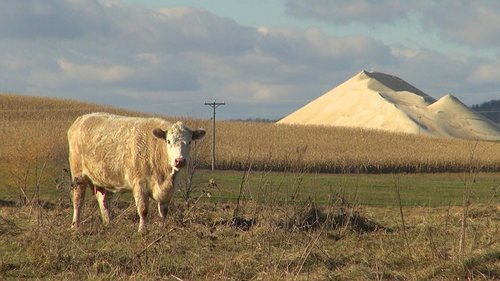 To learn more about the filter products used in these experiments, be sure to explore our Rosco Color Filters webpage. The aim of the event was to introduce Ruby on rails to attendees and help them realize the importance of tech communities in career development. Our target audience was students from the age of 16. We also wanted to bring coaches who have experience on these technologies to come and speak to the attendees and also have a hands-on sessions with them as they start their journey on Ruby on Rails and software development in general. We managed to bring together 16 awesome coaches who use Ruby daily in building softwares and had a total of 39 beginners who wrote their first code in Ruby on Rails during our event. We the Rails Girls Nairobi organizers, thought of organizing our first major event after completing the training of the1st cohort of the Rails Girls program which had about 6 ladies committed to the program. We needed continuity and growth to the tech community in terms of outreach and knowledge transfer to those interested in venturing into the world of programming, using Ruby as the programming language to get them started. Our major target was college students due to their flexibility in attending the scheduled meetups. The aim of the event was to introduce Ruby on Rails to attendees and help them realize the importance of tech communities in career development. The students were also introduced to open source world and be guided on how to contribute to open source projects. We had Alumna of great student opportunities such as Google Summer of Code, Outreachy, Rails Girls Summer of Code and Anita Borg also gave tips on how to get into such opportunities. Attendee Feedback: After the event we sent out a feedback form to the attendees and coaches. Summary of the feedback was: - The event was amazing and informative - Direct involvement from the coaches helped them understand and grasp the content better. - Lightning talks such as opportunities in tech, real life tech stories, good programmer practices, version controlling were very inspiring and made them be inspired to keep continue building softwares. - The warm-up games were awesome and helped people to bond and clear their minds. They would love such events to be organized outside Nairobi.